You can be a Change Maker! Invest in women and men through all stages of their recovery journey! 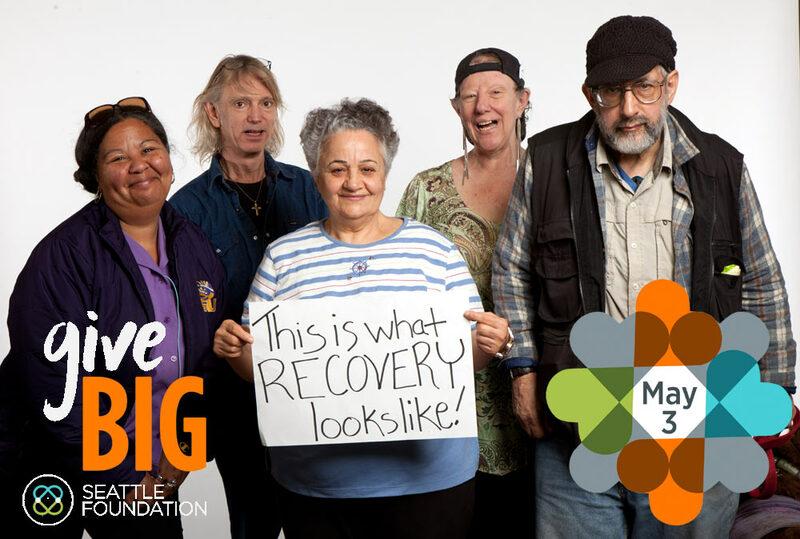 Recovery Café is proud to participate in this year’s online GiveBIG charitable giving event on May 3, 2016 hosted by the Seattle Foundation. This is a one-day campaign during which you can help grow our long-term recovery support based community that welcomes ALL individuals regardless of past addictive behaviors, trauma, emotional anguish, or mistakes made. Please Give big – your gift will be matched dollar for dollar! This year, you have the ability to schedule your donation ahead of time to be processed on May 3, guaranteeing your donation has the greatest impact! Schedule your donation today at https://givebig.seattlefoundation.org/npo/recovery-cafe and be a hero for those seeking to break the cycle of despair and loss.